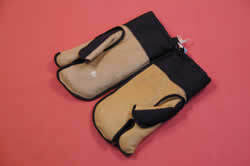 Leather/canvas mitts. Thumb and index finger glove/mitt. Fleece lined. 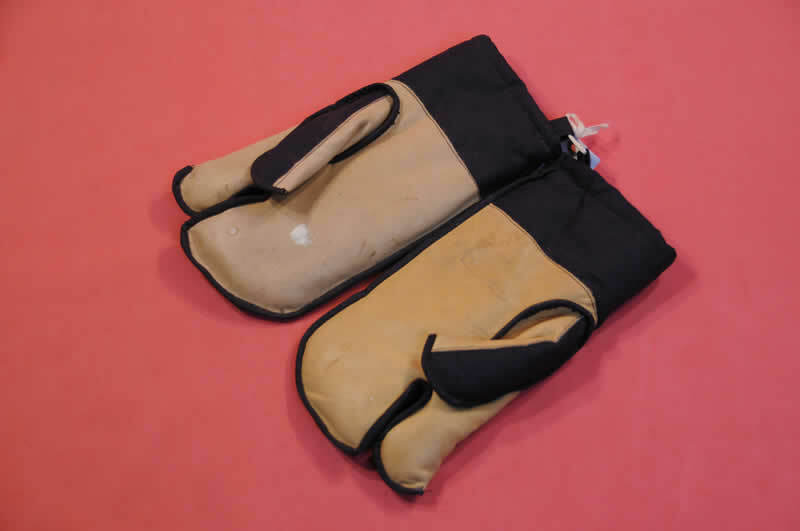 On outside of one reads "G.W 1953 25038( ) "
Not sure where these gloves came from, but rumour has it that they were part of a batch made for John Hunt's successful Everest Expedition in 1953. The data on them tallies though we are not sure what the 'GW' initials stand for - maybe a little more research required!